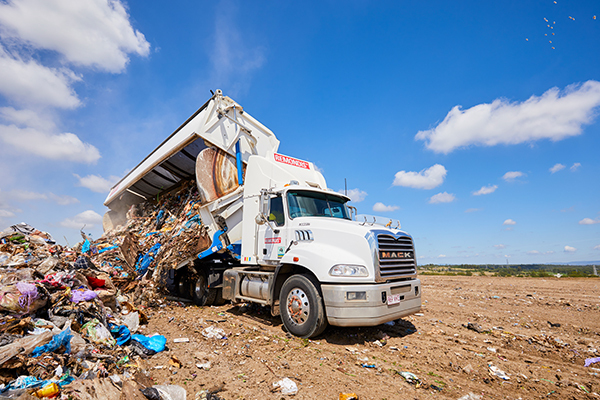 REMONDIS’ Roslyn Florie-George reflects on how legislation in Germany has reduced the nation’s reliance on landfill, and whether a similar landscape could work in Australia. In 1993, the German Government issued a directive banning all waste with an organic content of more than three per cent from being sent to landfill. The objective was to promote resource recovery and pave the way for energy from waste projects across the nation. But despite the bold initiative it was not implemented properly, according to the European Environment Agency’s 2009 report: Diverting waste from landfill. The report concludes that this was due to several loopholes regarding the processing of waste, including whether mechanical biological treatment (MBT) methods could be used to treat waste before landfilling. It was decided that incineration should be the main pre-treatment method, with MBT as an alternative. Eight years later in 2001, the government ruled to close the loopholes. As a result, the transition period was extended from eight to 12 years, with the final deadline scheduled for 1 June 2005. The goal was to give the waste management industry enough time to establish the infrastructure needed to treat waste. This was particularly important in the federal states located in the former East Germany, which were adjusting to reunification. REMONDIS’ National Tender/Bid Manager Roslyn Florie-George believes the industry was slow to move on the changes, taking advantage of the legislative loopholes in place. But despite the industry’s delayed response, the legislation proved largely successful after the ban was finally introduced and the loopholes closed. REMONDIS operates 21 landfills internationally, with 13 based in Germany. The landfill operations complement its recycling facility portfolio that comprises more than 800 waste management facilities internationally. Roslyn says REMONDIS’ vast experience has allowed it to adapt to changes in legislation, including the benefits and limitations that landfill bans have placed on industry. “After the directive was issued in Germany in 1993, industry did not respond as quickly as the German Government had anticipated,” Roslyn says. “In 2004, Germany saw significant volumes of waste sent to landfill at cheap rates as the grace period drew to a close. A 2009 report by the UK think tank the Green Alliance developed for the UK Federal Government found Germany sent only one per cent of its waste to landfill after a ban was introduced, compared to 27 per cent beforehand. The result was accompanied by a nine per cent increase in incineration, which included energy to waste projects, and a 25 per cent increase in materials recovery. Roslyn believes the strategic decision to ban organic waste from landfill means Germany’s landfills are as far as 20 years in front of Australia. 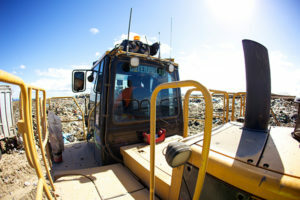 “Federal Government divisions have looked at landfill bans for specific waste streams in Australia, but none have been implemented at scale. “We have predominantly relied on state-based landfill levies to influence the waste management practices of the generator and to divert significant tonnes from landfill,” Roslyn says. Landfill levies are levies paid on all waste disposed of at licenced landfills, and are currently in place in New South Wales, Victoria, South Australia and Western Australia. As a result of the ban, Kapiteltal Landfill in Kaiserslautern was decommissioned in 2006. REMEX (a REMONDIS subsidiary) was engaged post decommissioning to extend the landfill’s life by 35 years by building a new landfill on top of the old one. By 2013, planning approval was granted for the “new on old” cell design and by 2016 it was re-opened to receive treated waste (mineral waste). “It is an interesting example of new technology being employed in Germany that could be applied to landfilling in Australia,” Roslyn says. Roslyn notes that Germany’s ban was also influenced by a lack of landfill space, whereas Australia has taken advantage of old quarries and mines created by Australia’s rich mineral wealth and mining activities over many decades. Read more on page 62 of Issue 13.